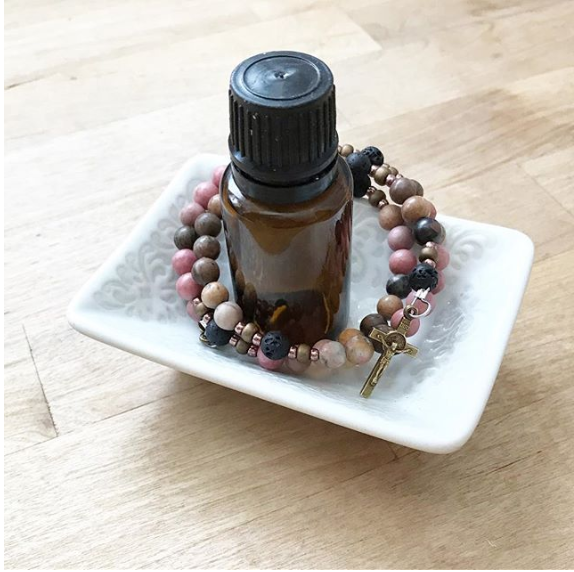 The bracelet styled aromaRosaries offer the unique benefits of portability and aromatherapy as well as serving as a fashionable conversation piece that will open doors to share the message of the rosary with others. 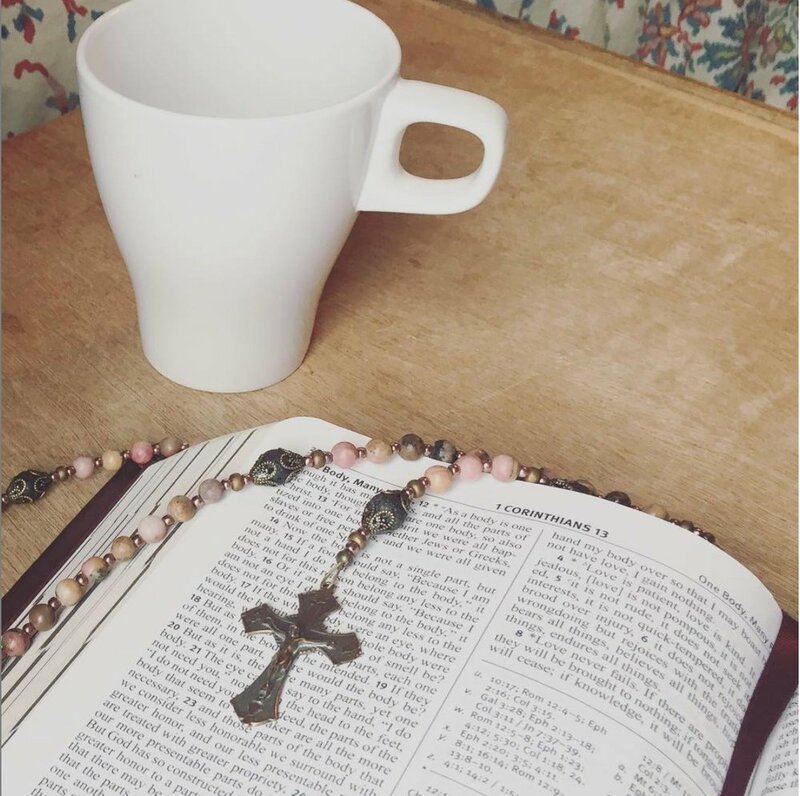 You will never be without a rosary and each days mysteries will linger with you impacting your prayer life throughout the day. The original aromaRosary is designed with rustic gemstones and lava rock which hold and diffuse the essential oils. They are finished with simple pure bronze crucifixes and centers. 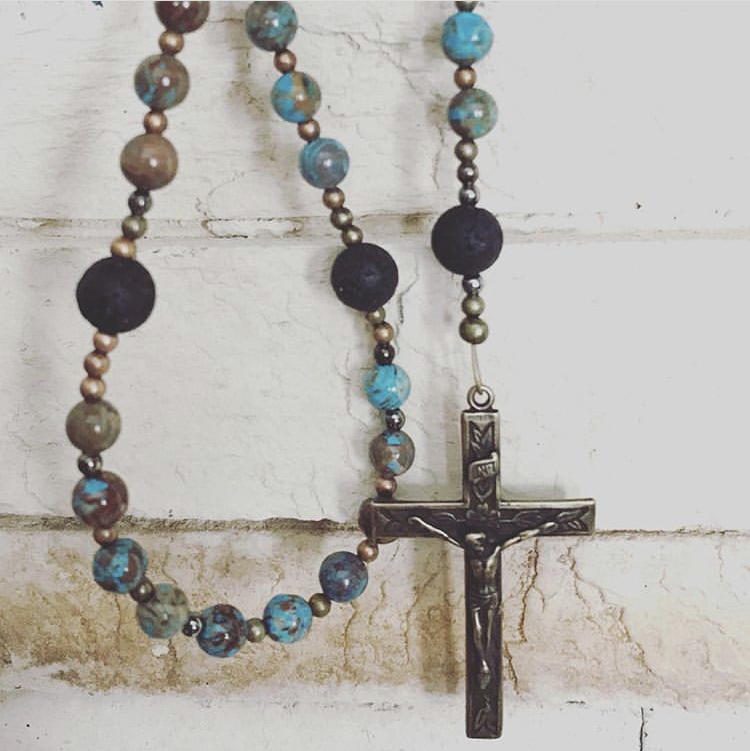 These rosaries are perfect for everyday use and will enrich your meditation and inspire your family. 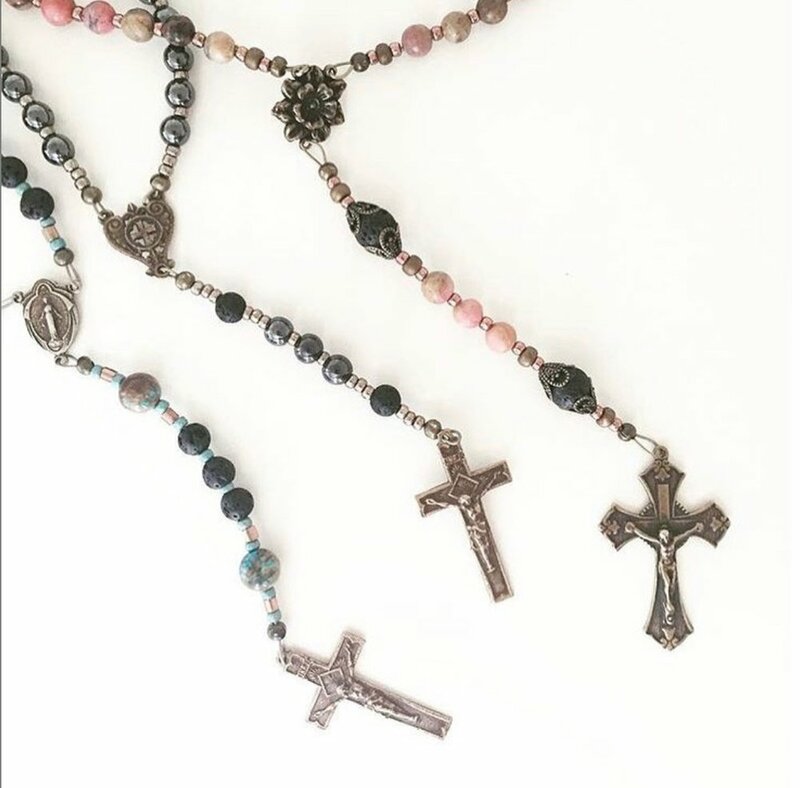 Built strong and sturdy, these rosaries will bless you for years to come. Enriched by fine finishes, filigree, and premium crucifix and center fixtures, these offer a more refined look and feel to the aromaRosary. They make an excellent gift for newlyweds, confirmandi and first communicants. Be sure to enrich your feast day celebrations with your own favorite version and offer your prayers up to Our Lord and Lady with these beauties. No one ever said praying the daily family rosary was easy!! 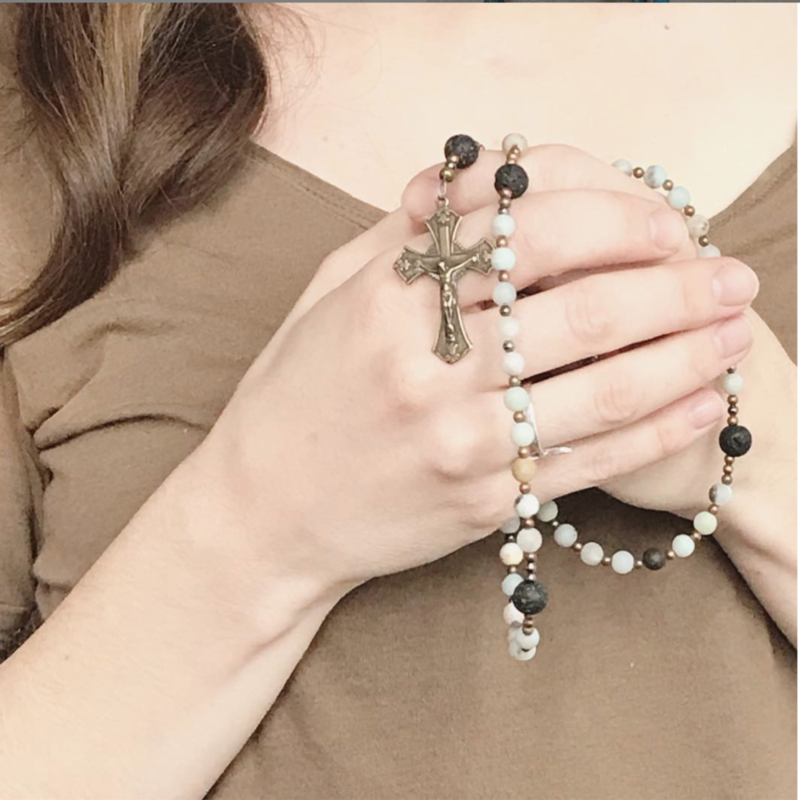 That's why you need this rosary aid. Discover this profound glimpse into the heart and mind of God through the gaze of Our Blessed Mother and Byzantine inspired chant.